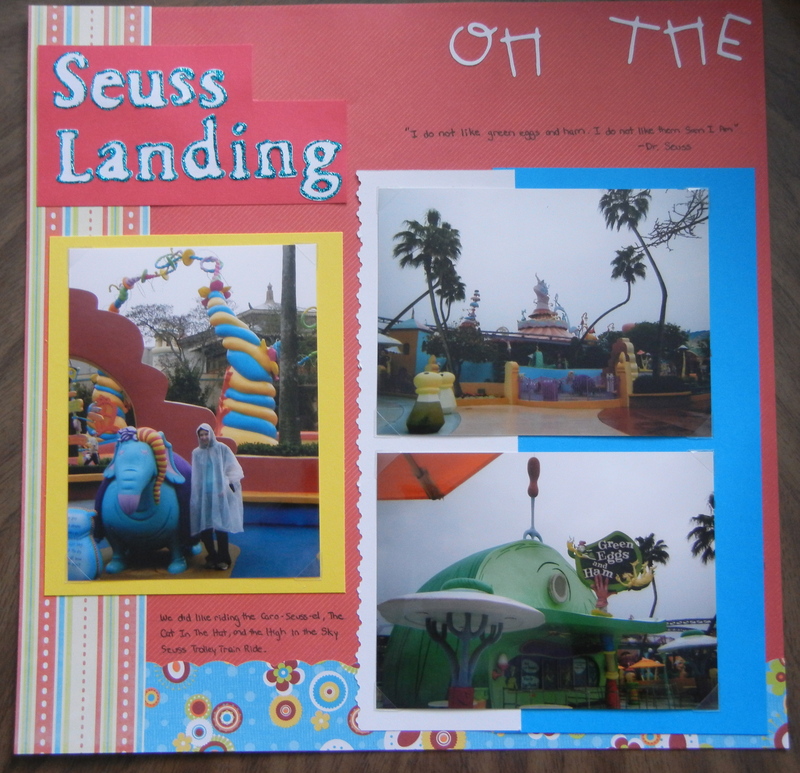 Journaling: "We did like riding the Caro-Seuss-el, the Cat and the Hat, and the High in the Sky Seuss Trolley Train Ride." I cut the letters using the Base Camp Cricut cartridge and the All Mixed Up cartridge. I used Stickles to outline the Seuss Landing words.